Automated calls are governed by the Privacy Electronic Communications Regulations (PECR) and can only be sent with the recipient’s specific consent, which the ICO established David Lammy did not have. In the run up to the EU referendum and several other key elections, the ICO is reiterating its advice to political parties to take ensure they follow the rules. 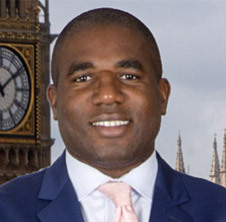 Although David Lammy was provided the data by the Labour party, he did not make the additional checks necessary to ensure he was able to contact the people with recorded messages. Investigators also found that the company Mr Lammy used to make the calls on his behalf routinely advises prospective customers of their obligations. This is not the first time the ICO has taken action over political campaigning that falls short of the law. Back in December 2015 the ICO fined the Telegraph Media Group £30,000 for sending hundreds of thousands of emails on the day of the general election urging readers to vote Conservative. In November 2013, in the run-up to the Scottish Referendum, the Better Together campaign signed an undertaking after sending 300,000 text messages to individuals without checking whether they had consented to receiving the messages under the rules of PECR.